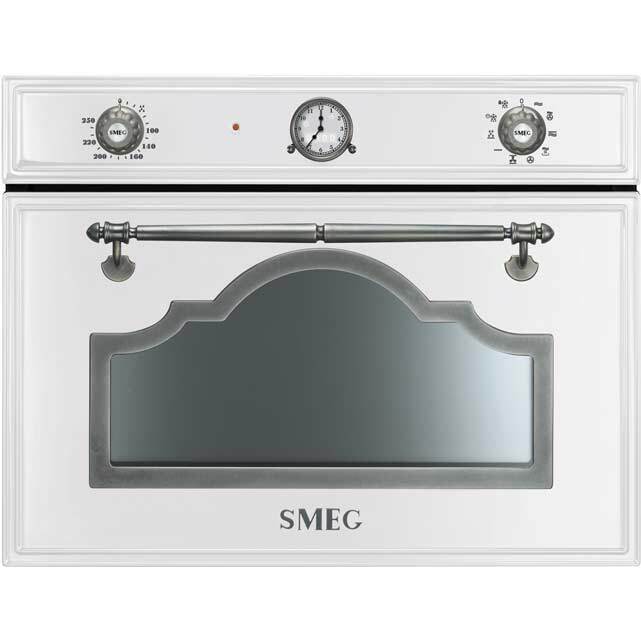 Cook mouth-watering meals in style with this eye-catching built-in combination microwave oven from Smeg in white. 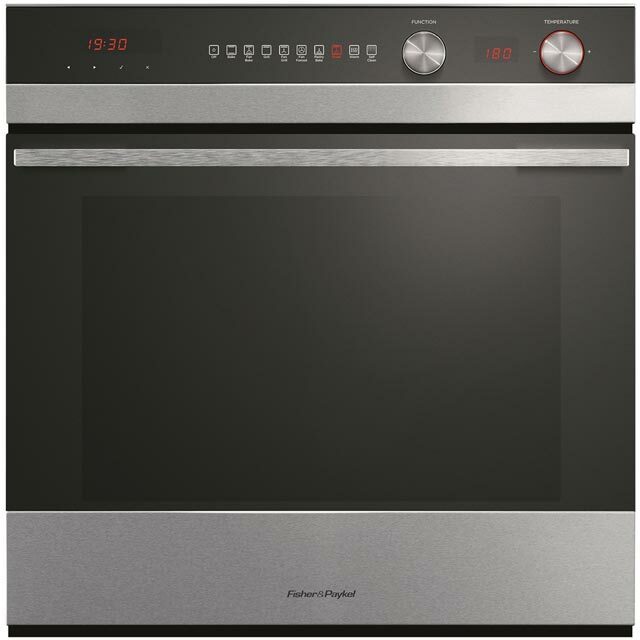 With a generous 40 litre capacity, it’s the perfect choice if you live in a large household, and its 1000 Watt power output means you’ll never have to wait long for dinner. It also has a handy defrost feature which makes it easy to safely thaw chicken breasts or fillets of fish. Keeping it spotless is simple as well, thanks to the clever vapour clean function that uses steam to loosen food residue, so all it needs is a quick wipe clean. This model is designed to fit in an eye level cabinet.